We specialize in MacBook Air display repair. We offer a fast 24 hour turnaround and keep our prices low by replacing just the failed component in your Mac. If you have a broken screen on your Mac and are unsure what service you need, please fill out the form below and we will get back to you within a few hours. Cracked MacBook Air LCD panels are replaceable. Many repair shops do not offer this repair because it is a difficult one. We have been offering the repair for years and are one of the few shops in the nation that perform the repair daily. We offer the screen repair with our 24 hour turnaround! This means you can drop off the computer one day, and come back for it the very next day! If you need to mail your computer in, we offer services for that as well. 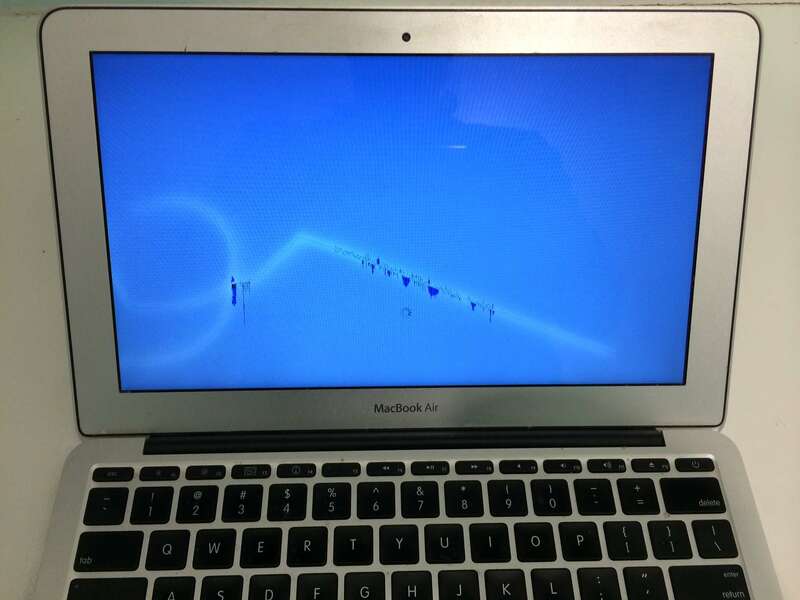 This MacBook air was cracked with a twisting motion. It wasn’t the usual hit that caused this MacBook air to get a cracked screen. The user reported that picking up the laptop by the top corner of the screen caused the crack. Have a different Mac laptop that you need repaired? We offer screen repair services for almost every mac model. Find out the pricing for your Mac by filling out the form below and we will get back to you within a couple hours.